With over 30 years of design experience, we have created hundreds of incredible works of art into high-end custom masterpieces. 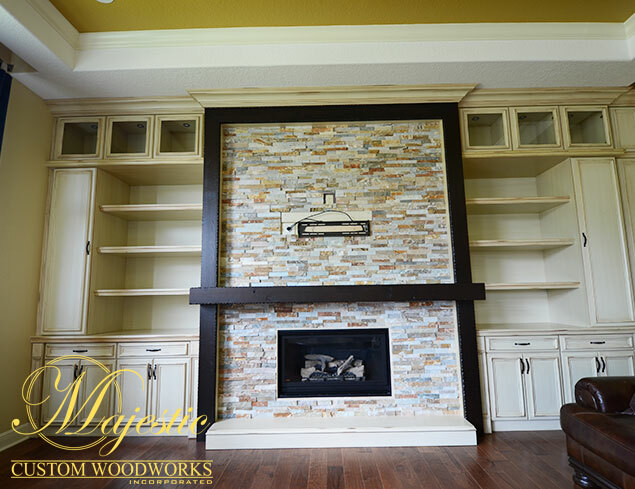 We specialize in woodwork & cabinet design. 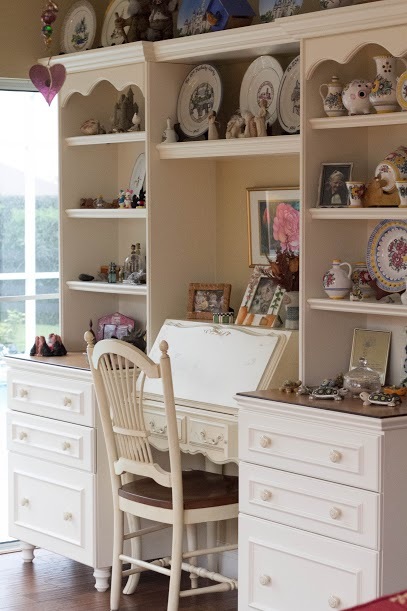 Upload your room photos and tell us about what you want us to design! Javier and his team do amazing work! We had a rough design idea for a built in entertainment center that Javier made come to life. The built in looks like it came with the house. The workmanship is excellent and he matched the furniture and our taste exactly. They kept us up to date on the process and had us out to the shop during the process to view the progress and make final design decisions. 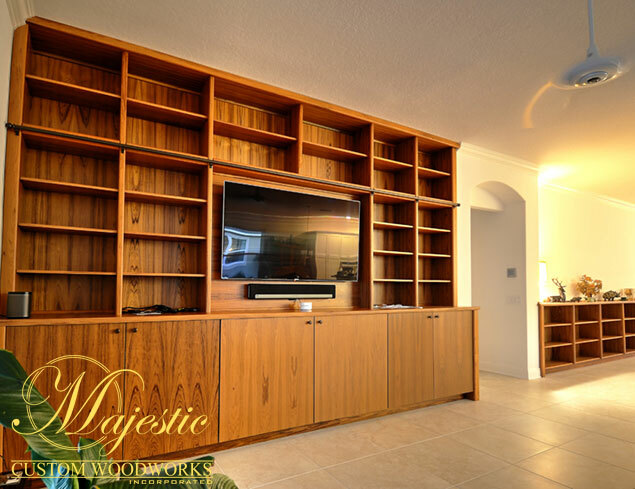 We have already arranged our next project with Majestic because of the quality of their work and service. The finest workmanship we have ever seen..right on time..went above and beyond to satisfy us. Javier and his team created a work of art out of our house. We brought to them an idea and they turned it into reality. 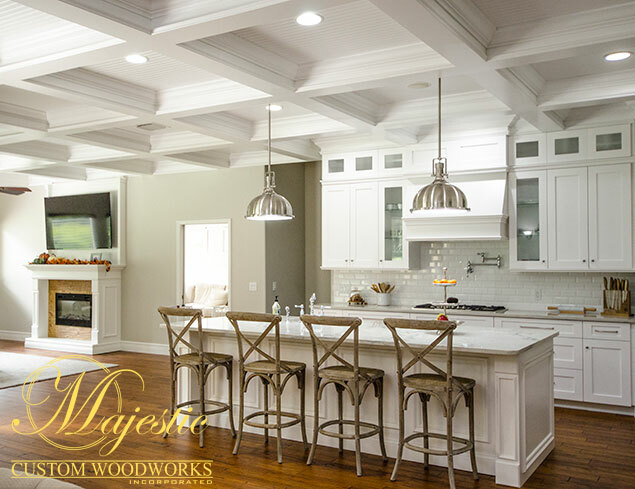 They designed coffered ceiling, fire place, and a kitchen that leaves a last impression on the people who see it. We are absolutely loving our make over. 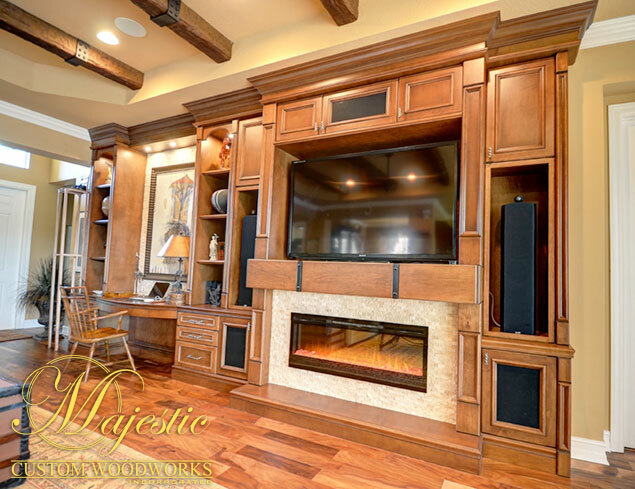 ©2019 Majestic Custom Woodworks, Inc. All rights reserved.